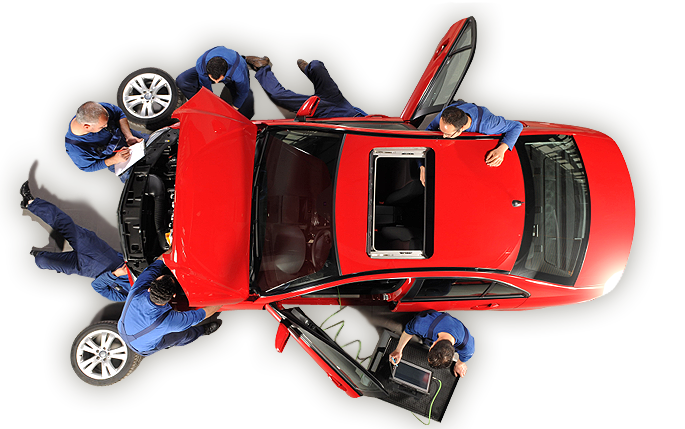 Get tips of car repair and maintenance services form Garry’s auto. Professional staff are expertly trained and highly skilled to work with complex vehicular electronic systems. Modern vehicles are filled with sophisticated electronics and technology. Due to this complexity they require ongoing care by a specialist with the right equipment. Become familiar with how often your vehicle needs to get serviced. Learn why regular maintenance such as an oil change and the replacement of consumable parts will, in the long term, save you money. You will avoid complex and costly repairs, maintain optimum fuel efficiency and increase the longevity of your vehicle by regular servicing. These days it takes much more to service a modern car than a grease and oil change. A vehicle service involves over 50 system and component checks. Choose a qualified and equipped mechanic. One who is trained in electronic monitoring and diagnostics. One who will tune the vehicle according the the computer scan tool and to maintain peak engine fuel economy, top performance and minimise emissions. The engine will last longer and operate more economically if given professional attention and care. Skipping a service might run you the risk of facing a much larger bill down the line. Replacing parts later through damage or overuse is at much higher cost than at the regular service inspection. How to find a good mechanic or technician you can trust? Ask your friend and work colleagues for their experiences. A good automotive business should take you seriously, is open and upfront about pricing and provide clear information about any problems. Of course they should provide outstanding quality and professional work on your vehicle. Garry’s Auto & Batteries have been in business for over 50 years. We believe in letting our quality automotive service and work speak for itself. We would love to assist you with all your automotive needs – Call (02) 9899 2522 or send us a message. We’d love to hear from you!